The Piatnik factory was established in 1824 and is a recognised symbol of Vienna which along with its many cafes is a city of card players and board gamers. Both the production methods and the assortment have changed significantly In the 185 year history of the company. An annual output of 25 million Playing Cards, 1 million Board Games and 1 million Jigsaw Puzzles is proof that traditional games have lost none of their appeal. 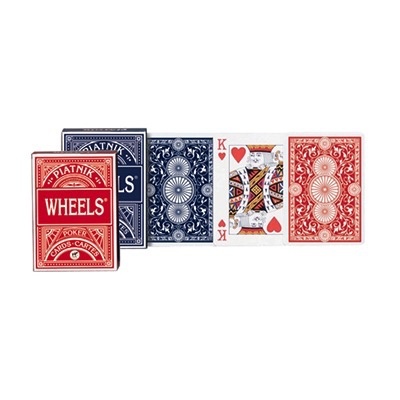 As ever Playing cards remain the central product category and PIATNIK offers the largest selection of standard and luxury Playing Card items worldwide. In the interest of product diversity and quality PIATNIK constantly pursues technical advancement and innovation in the production and processing of its wide range. 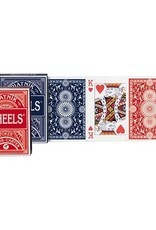 One single deck in blue or red.